Westbury marched on at the top of the Cherwell Cricket League table despite being denied maximum points. A resolute Cropredy side clung on for a draw in Saturday’s division two fixture. Westbury used all their 53 overs to rack up 316-9 in 53 overs, Olly Tice hitting 83, William Gurney 79 and Tom Gurney 58 before a late flurry of wickets as the lower order hit out. With hindsight, Westbury should have probably declared early, as Cropredy never seemed in it and the run rate quickly shot up. They crawled to 139-8 in their 47 overs, only Saim Hussain 60 getting going while Richard Tredwell took 3-42. 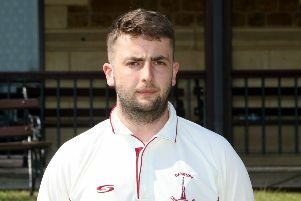 Tim Morgan and Thad Cooper shone for Aston Rowant II as they beat bottom-of-the-table Sandford St Martin by seven wickets. Visitors Sandford would have been satisfied with their 264-7 after winning the toss and batting, Mark Robey hitting 53, Steven Dobson 47 and Chris Thompson 47. But, with Morgan hitting a superb 116no and Cooper 95, Rowant won the match with one over to spare on 265-3. Banbury II racked up 264-9 at Cumnor in division one but the home side frustrated the visitors as they blocked out for a draw. Tom Bartlett hit 98, with George Tait and Will Briggs both adding 45 in Banbury’s total while Max Mannering took 3-73. Cumnor never got close, held in check by Richard Simpson who took 4-34 as the hosts shut up shop to close on 161-8 with Mannering 48 top scoring.